We have a very experienced team of garage door installers and engineers, so we aim to install most garage doors in 2 to 5 hours. In some scenarios, such as with specialist doors or electric models, the installation time may be longer as these can typically be more complicated to fit. Our prices for a standard installation start from £150, while electric garage doors and other more complicated installations may incur a higher fee of up to around £250. If you want us to carry out installation please let us know and we will arrange a free site survey so that we can provide you with an accurate quotation for the work. Can you remove/dispose of my old garage door? If you require us to remove your current garage door and take it away for safe disposal we can offer this service and there will be an additional fee to pay. Our team of installers holds years’ of experience and each member is fully trained to make sure that we provide an installation to the highest possible standard. This means we can guarantee that all safety precautions are followed throughout installation for your complete peace of mind. Do you subcontract your installation work to other companies? No, we do not. All of the engineers and installation specialists we use to install your garage doors are employees of Wessex Garage Doors. How long are your garage doors guaranteed for? 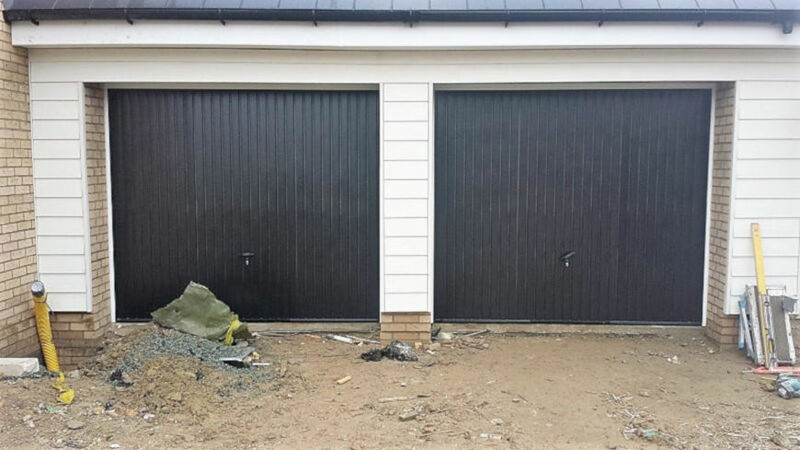 At Wessex Garage Doors we have complete confidence in the doors we provide and install, so we offer a one year installation warranty from the date of install in addition to the manufacturers’ terms and conditions. For more details please do not hesitate to get in contact with a member of staff who will be happy to provide you with any information you need. Do you fit garage doors inside or behind the opening? Our team has the experience and knowledge to carry out installations both inside and behind the structural opening of the garage – it can be completely tailored to your needs. When we carry out a site survey we can make the necessary plans to arrange the correct parts and any adjustments that need to be made.